CINCINNATI – The Cincinnati Symphony Orchestra (CSO), one of the nation’s leading orchestras, has appointed Diana Maria Lara as the Director of Communications, succeeding Meghan Berneking. Ms. Lara now manages media relations on behalf of the CSO, which also performs as the Cincinnati Pops, and through a shared services agreement, additionally handles media relations for the Cincinnati May Festival and the Vocal Arts Ensemble. Responsibilities also include serving as the project manager for Fanfare Cincinnati, the CSO’s industry-leading monthly program book magazine, the CSO’s annual report, the May Festival’s program book magazine and other vital initiatives. She reports to CSO Vice President of Communications Chris Pinelo and works closely and collaboratively with staff across all the organization’s departments to ensure best-in-class communications. Ms. Lara spent several years as an airborne helicopter reporter for broadcast outlets including NBC News, WNBC in New York and WLWT in Cincinnati. She served as a Spanish language reporter for WKRC’s Nuestro Ríncon before pursuing a career in public relations. Previously, Ms. Lara was the Director of Media Relations and a spokesperson for UC Health. "It is an absolute privilege and honor for me to serve such a historic institution," said Ms. Lara, adding, "The CSO is hailed throughout the world for its artistry and has a long-standing reputation for artistic innovation. I deeply appreciate the trust placed in me and am fully committed to expanding the reach of this incredible organization’s work." Ms. Lara hailed from New York and was born to parents who emigrated from Spain. She has lived in Greater Cincinnati and taken an active role in the community since 2004. "Diana has consistently served as a role model and mentor for young women in our community,” said Alfonso Cornejo, President of the Greater Cincinnati Hispanic Chamber. “Her energy and enthusiasm are captivating, and Diana is a bridge builder. We look forward to exploring new ways to connect and expand outreach opportunities with the CSO." Ms. Lara gives back to the local community serving as a “Big” in the United Way Big Brothers Big Sisters program Hispanic division and has two “Littles” she mentors. 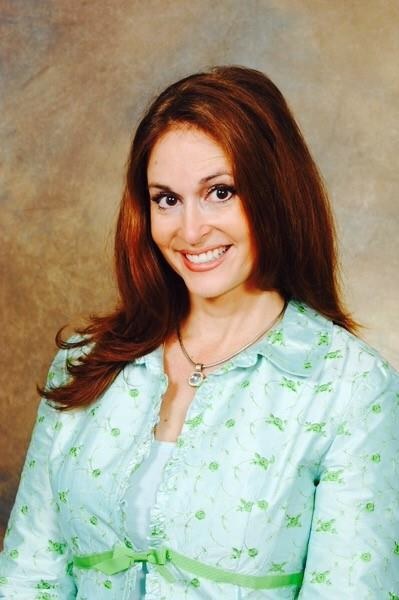 She is a current board member of the Greater Cincinnati YMCA and serves on the executive committee for USO Tribute Cincinnati, an organization helping military veterans and their families. The CSO is a dynamic ensemble of some of the world’s finest musicians. The CSO is the umbrella organization for the Cincinnati Symphony and Cincinnati Pops Orchestras, presenting more than 100+ concerts and events annually. A thriving organization with a growing support base of audiences and contributors, the CSO is the cornerstone of the Cincinnati arts community and an anchor cultural institution in Over-the-Rhine, with additional summer performances at Riverbend Music Center. The sixth oldest symphony in the United States, the CSO has achieved international critical acclaim and an operating budget that consistently places it among America’s top 10 orchestras. 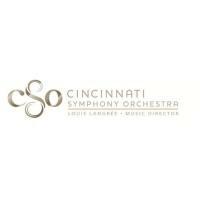 The CSO serves as an ambassador for Greater Cincinnati to the world through national and international tours and an extensive Grammy-winning recording catalog, with over 10 million recordings sold worldwide.